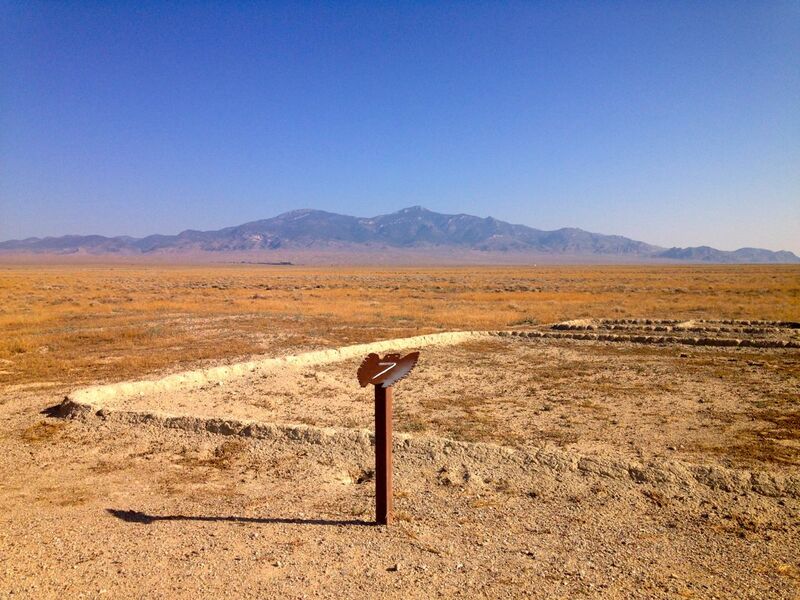 Great Basin National Park, NV to Boulder, CO — Instead of going to church, I went to a concentration camp. It was Sunday, probably the last day of my road trip. I still had no idea what I was traveling back to except a sweet cabin and my own bed. My car smelled like campfire from my stay at Great Basin and I had plenty of food to make it through Utah without too many stops. A rafter of wild turkeys crossed the park road in front of me on my way down to the Lehman Caves. My phone was still unsure of the timezone but the park clock indicated I would have to wait an hour for a tour. I decided to pass and stopped for coffee in the minuscule town of Baker, NV and discovered the LectroLux Cafe. Hot brew in hand and friendly words later, I pulled into the Baker Archeological Site and the remains of a Fremont Indian village occupied from 1220 to 1295 AD. I retrieved a visitor guide which promptly informed me that the site had been back-filled to preserve it. Little berms of dirt were all that could be seen. Nice, but not what I’d hoped for. 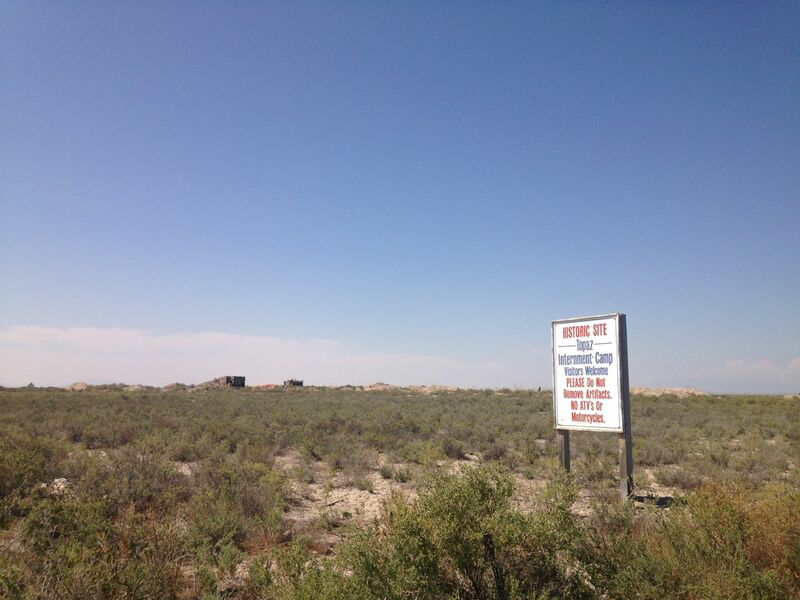 Fifteen miles west of Abraham is the location of the bleak desert site of a concentration camp, one of ten in Western America, in which 110,000 persons of Japanese ancestry were interned against their will during World War II. They were victims of wartime hysteria, racial animosity, and economic opportunism on the West Coast. Confined behind barbed fence and guarded by armed sentries and held for no justifiable reason, the internees, two-thirds of whom were American citizens, and the majority of whom were women and children, not only endured the bitter physical discomforts of the desert heat and cold, but sustained a shocking affront to their sense of justice and fair play and human dignity. May this grim episode of basic American principles gone astray remind us to work for understanding and goodwill and justice in an enlightened America today. I pulled over to pick a few sunflowers volunteering around the base of a telephone pole, hoping to find somewhere to leave them as a memorial. Some Utah teens shouted out the car: “Stop picking the flowers!” I was incensed. The plaque had indicated that the community understood the injustice. 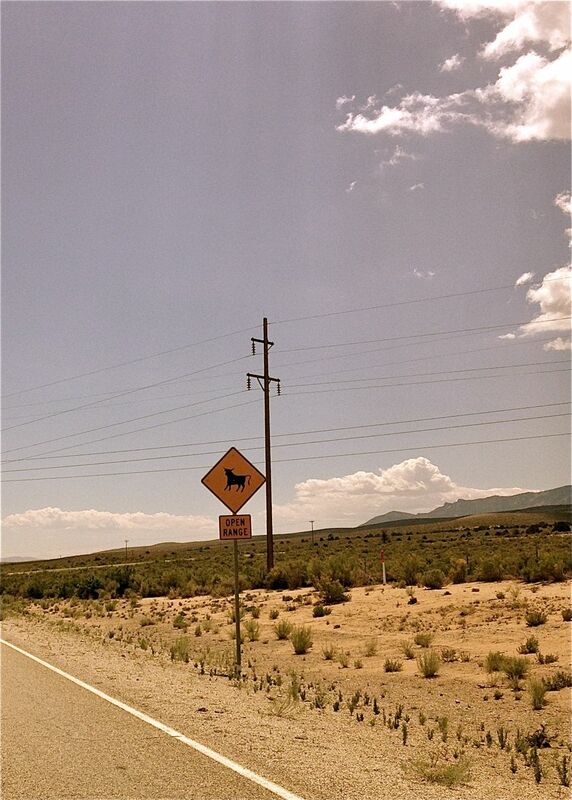 The general attitude in this part of Utah, however, seemed reconciled to basic existence. This area of the country, to me, inspired very little. Again, the places where we could pay homage to those who suffered our errors are not in the beautiful places. 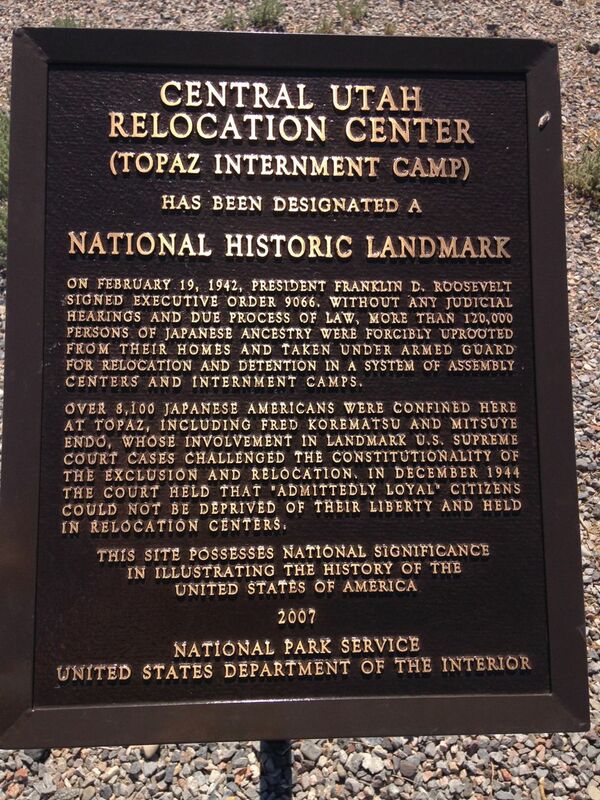 I was moved that the sign called Topaz a “concentration camp”. We have those in America. They were not death camps but people died, maybe were killed. I wondered if I could find a cemetery. 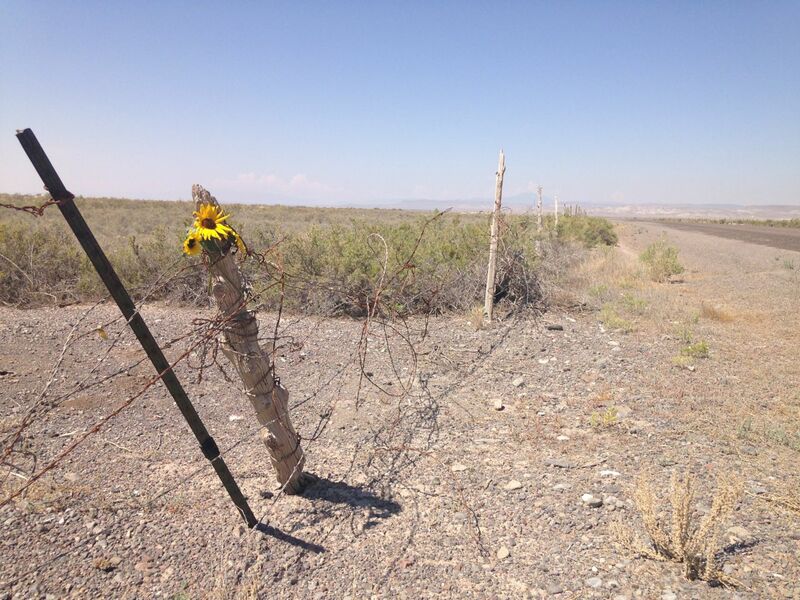 Seven long miles out of the no-town and three wilting sunflowers later, I saw the site. It’s leveled with one side looking like it had been the site of a mine in the past 50 years. There is a broken barbed wire fence surrounding the field, grey mountains the color of ash in the distance. I walked around the site a little, feeling the eeriness forgotten voices. Not knowing if I’d seen the full site, I drove down the road and into the camp near a hand-painted sign that indicated the main gate. A little brick foundation was all that was left. I saw a sign in the distance labeling a cement pad as the foundation of the hospital. The sunflowers were shriveling so I hung them in the barbed wire fence under cloudless skies. At the end of the site, there was a gravel parking lot which I pulled into. Someone had woven “Topaz” in rusty barbed wire along the chain-link fence. Then there was nothing for miles. An American flag hung limp from a pole. There were two plaques which I read through tears. Frankin D. Roosevelt had signed an executive order to intern persons of Japanese ancestry in 1942. 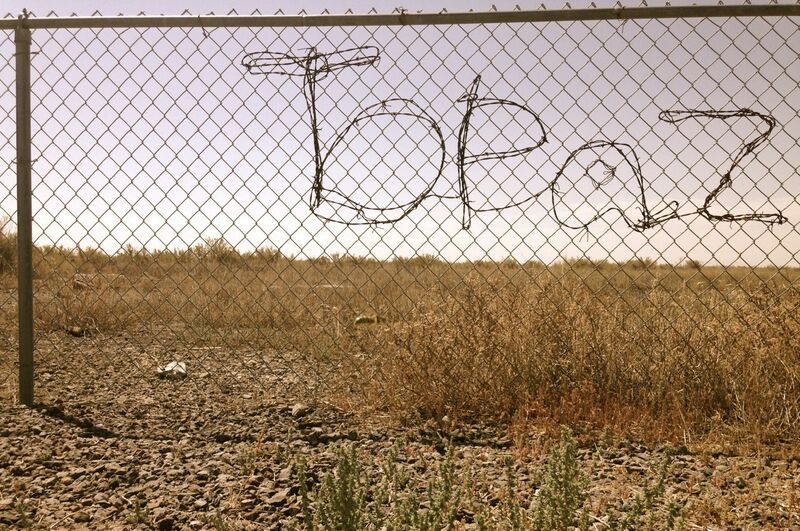 8,100 detainees were held at Topaz against their will and hopes, no hearings, no trials. A supreme court decision overturned the order in 1946. Many of the women waiting in the camp were mothers to the 442nd RCT, a regimental combat team made up almost entirely of Japanese Americans who fought in Europe during World War II. They went on to become the most highly decorated unit in the history of US military. Their motto was “go for broke” — which is where the phrase comes from — and their mothers were held behind barbed wire in the desert of Utah. The decoration of the unit did nothing to protect the reputation of these men. Upon, returning home, they were met with “No Japs Allowed” signs and denied entry to stores even in their hometowns. I left Topaz wondering what became of these mothers and children. I learned about the interment camps — concentration camps — after high school. It was not part of our US History lessons but it affected drastically families around the area where where I grew up in Washington State. 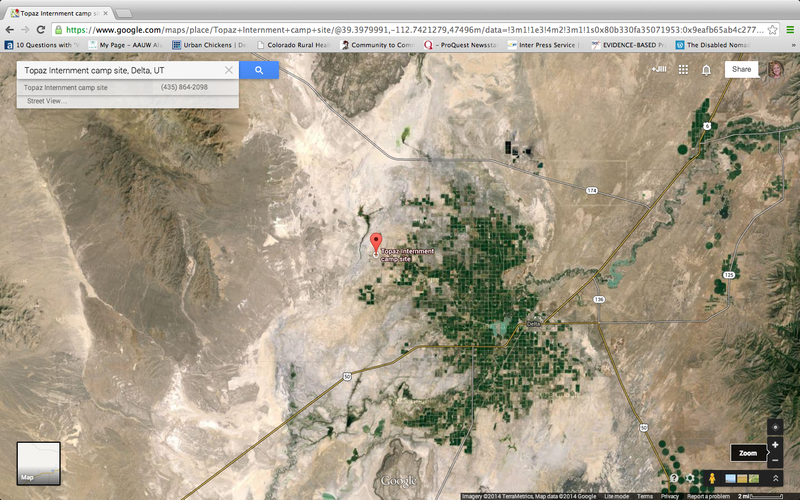 Here were two sites I’d been to, both leveled, both with minimal fanfare. Not that anyone wants to ask, “Do you know the way to the concentration camp?” but these places were too untraveled for historical sites, too little a part of history. I looked online and found that in April of 2013, the National Park Service allocated $1.4 million to “to help preserve and interpret the World War II confinement sites of Japanese Americans”. How was this money spent? Were there any recountings of the experiences of those held in the camps? I could only find one published collection of stories: Only What We Could Carry. There it is. One book. And Topaz likely only had one visitor that day. Me. That was all. It was a little like an emotional hangover as I left Delta, UT, and drove to Colorado. The sun was so hot, I had to turn on the air conditioning. 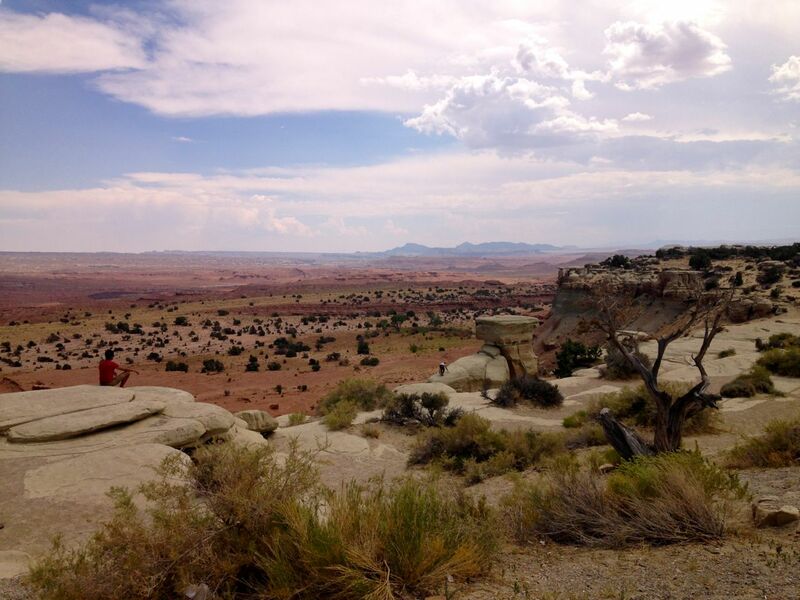 At a little pull-off in Utah, I took a picture of people freely climbing on the rocks. We weren’t thinking about the sweet taste of freedom. The cabin was quiet when I returned that night. It took a long time to write about the concentration camp, longer than being lost, longer than seeing the oldest living things in the world. I really had no explanation. It was just the facts, but that’s why I like road trips — no one to explain to, sometimes no one even to talk to. But you sit where you are and make progress, because the road is moving beneath you.